Experimentally validated plant lncRNAs have been shown to regulate important agronomic traits such as phosphate starvation response, flowering time, and interaction with symbiotic organisms, making them of great interest in plant biology and in breeding. We developed a pipeline to annotate lncRNAs and applied it to 37 plant species and 6 algae, resulting in the annotation of more than 120,000 lncRNAs. 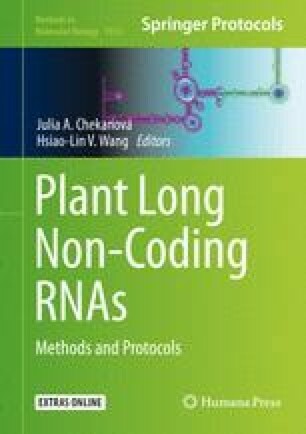 To facilitate the study of lncRNAs for the plant research community, the information gathered is organized in the Green Non-Coding Database (GreeNC, http://greenc.sciencedesigners.com/). This chapter contains a detailed explanation of the content of GreeNC and how to access both programmatically and with a web browser. We thank Dr. Antonio Hermoso Pulido from Centre for Genomic Regulation (CRG), who was also involved in the database development.